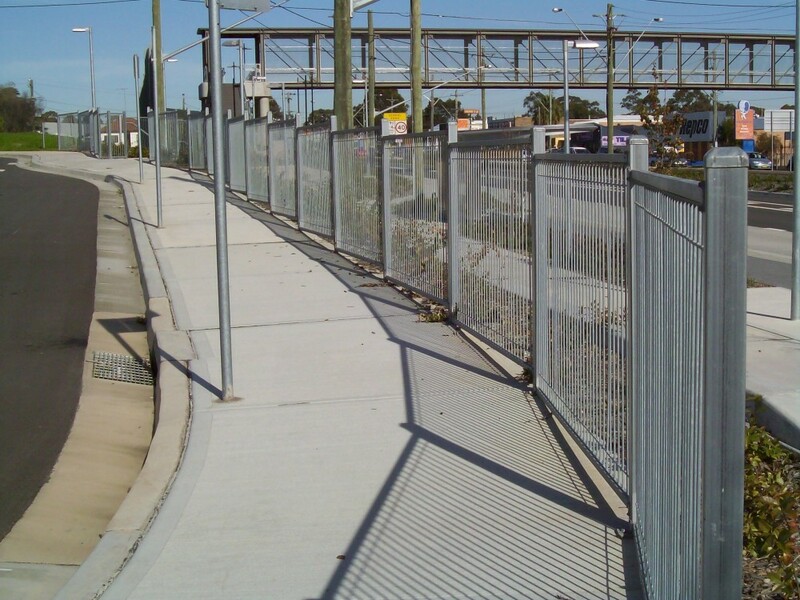 Industrial Hoardings, Balustrades, Chainwire Enclosures; those are just some of the varied styles of fences that we have helped to erect for our Commercial / Industrial clients. 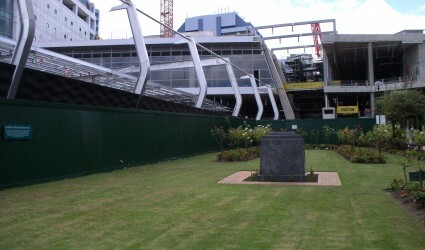 Project Description: We helped supply and install a combination of A-Class timber and Colorbond Hoardings at the Chatswood transport interchange in October 2008. 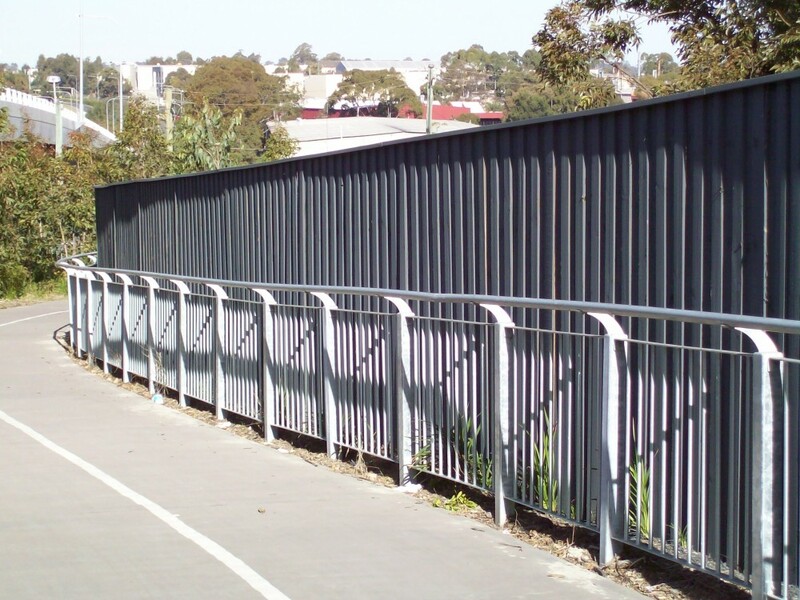 Project Description: We helped create a large stretch of security / balustrade fencing along the side of the T-Way in Bankstown. 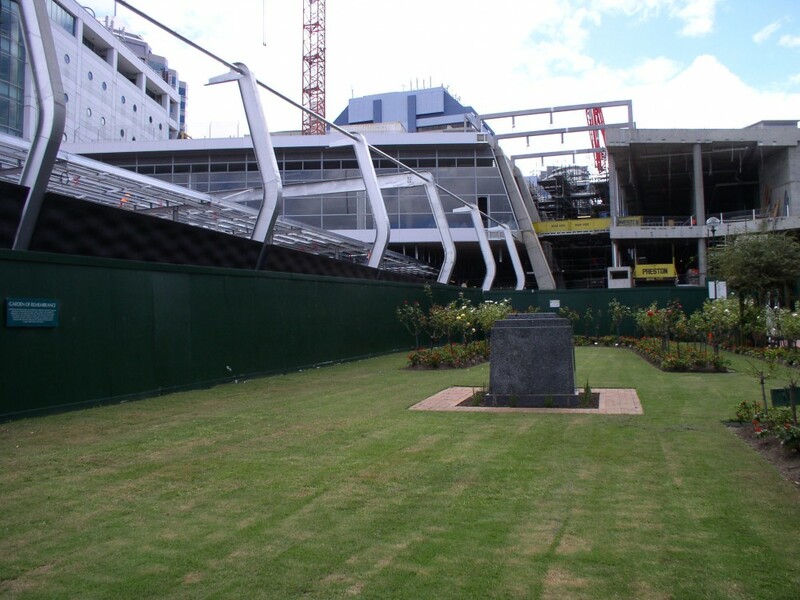 This project was extensive but in the end we ensured that the walk ways next to this busy road was secured. 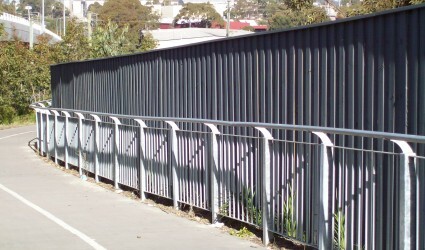 Project Description: We erected a long stretch of hand-railings along a popular walk way in Liverpool. 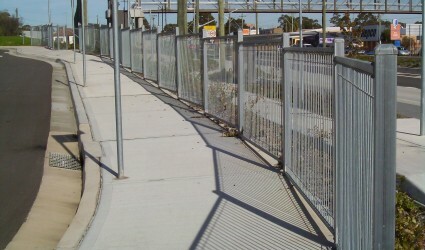 This heavy duty fence style was chosen because of its long lasting an durable nature.